Ford is having quite an exciting time for the past few months. While they haven't come up with an all-new car, they have been busy building a new family of frugal engines and updating its existing line-up of entry-spec models. This time around, it's the Aspire that gets its midlife makeover. 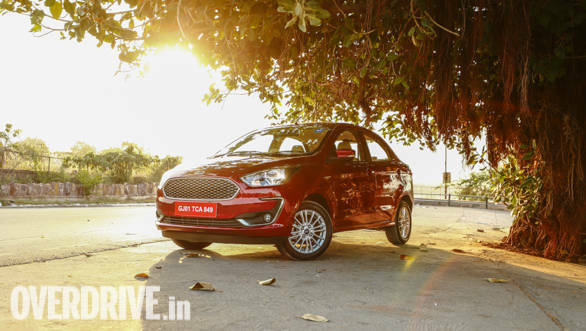 It may not look very new though since we already knew what was coming, thanks to the Ford Freestyle and the facelift given to the Figo. 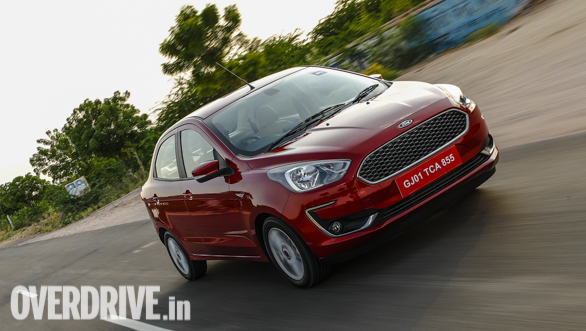 Which means it gets the same new detailing around the fog lamps as the Freestyle, albeit with some chrome treatment. 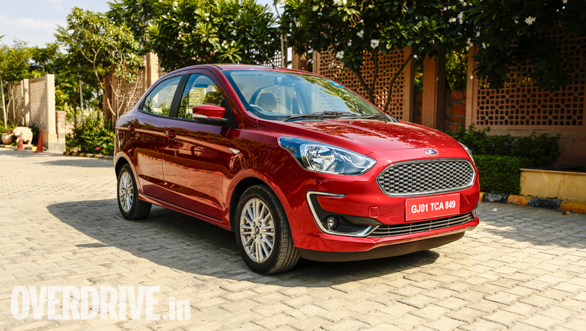 The headlights have a revised detailing too, but I believe a blacked out effect like the one on the Figo S would have looked sportier to go with that Aston Martin-like grille (which too, gets a new pattern). The taillights look pretty much the same as the outgoing car, but the bumper now gets a black strip on the lower edge for protection against stone chips. It also creates a better contrast on the lighter colours of the Aspire, compared to the signature maroon seen here. There's also a new 16-spoke alloy wheel design (now 15-inch) on offer, should you choose the top trims, and the design is pretty neutral in my opinion. The cabin gets a breath of fresh air with the new touchscreen infotainment system mounted atop the dashboard. 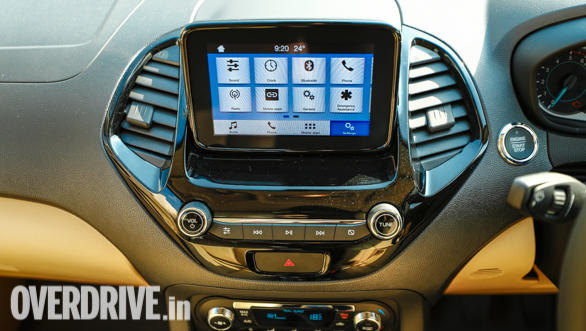 It features the SYNC 3 operating system that gets smartphone connectivity and its own set of apps. I still like the way Ford has done up the cabin in black and beige with tasteful use of glossy blacks and shiny chrome. To me, it was always one of the most premium cabins in the compact sedan segment and the small updates in here elevate that look and feel by a couple of notches. 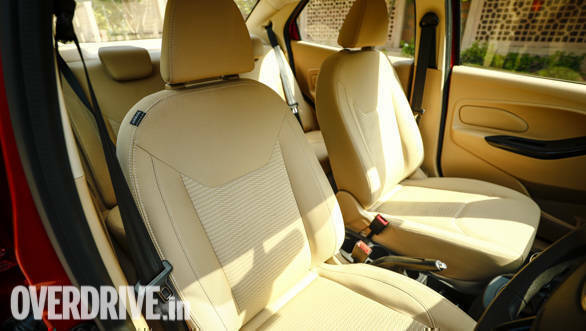 The seats of the Aspire are quite comfortable and the rear bench is also quite roomy. Its compact sedan width is only good for two adults and a kid, though. 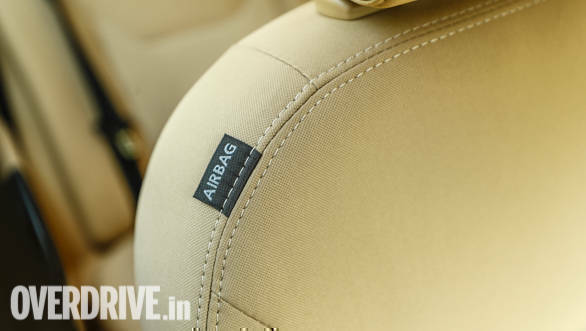 All seats get adjustable head restraints, which is the safer way to go than some of its rivals. 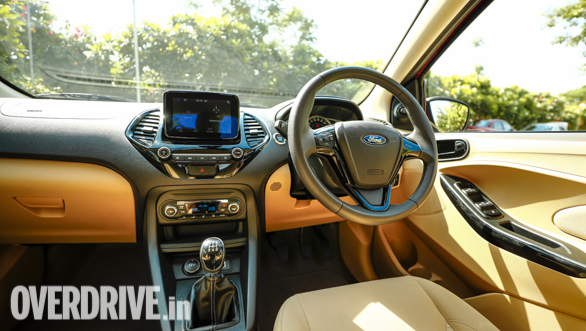 On the topic of safety, the Aspire pulls Ford's signature trick out of the hat and secures the cabin with up to six airbags on the Titanium Plus trim. Dual airbags and ABS are standard. It also boasts of an electronic stability program, traction control, and hill start assist on the automatic variant. Moving to the drivetrain, the Aspire lets you choose from quite a few options depending on your pocket or need. There are two kinds of petrol - 1.2l and 1.5l - and one diesel on offer. The Indian arm of the Blue Oval aptly chose the Blue City of Jodhpur in Rajasthan to give as a taster of the new Aspire. We didn't get a chance to sample the 1.5l unit, which comes exclusively with an automatic transmission. 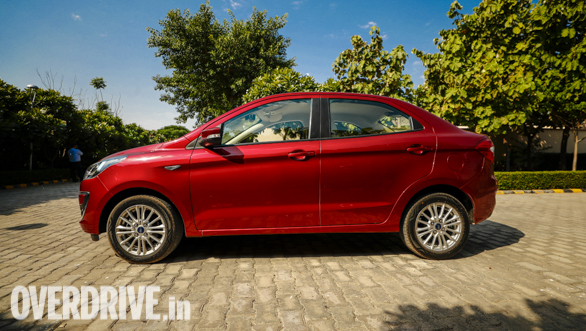 But the 1.2l unit we drove for a day instantly feels more refined than the old-Figo-derived unit it replaces. 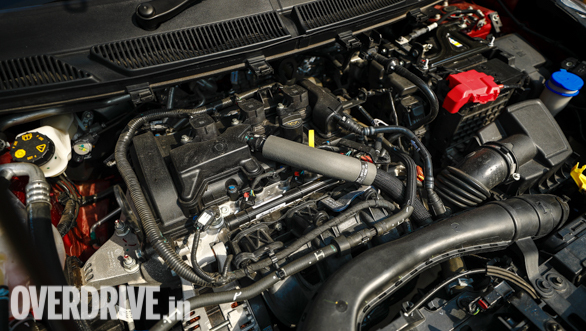 We aren't new to this 96PS/120Nm drivetrain, having tested it with the Freestyle crossover. 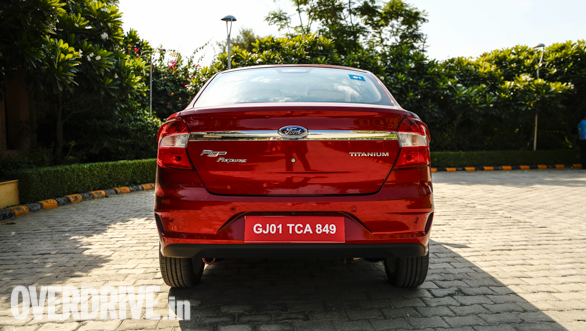 But Ford claims that the engine has been tuned differently for the Aspire and it shows. 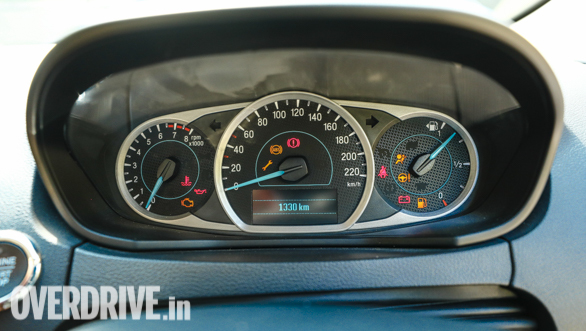 On the highway, it runs more relaxed, needing a mere 2,500rpm to cruise at 100kmph, compared to the Freestyle which needs 500 revs more. We expect this relatively more relaxed nature to translate into better fuel economy - something that left us unimpressed in the Freestyle. 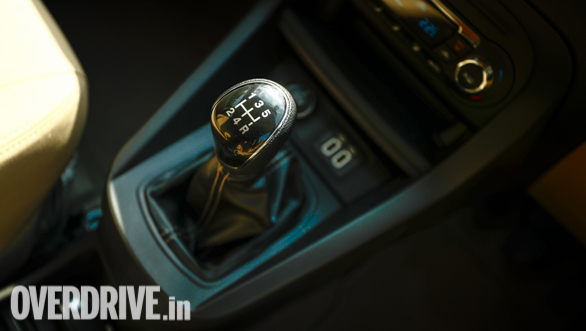 The engine is mated to a five-speed manual transmission, which is tuned for a strong low and mid-range. Pottering around in the city and pulling overtakes at city speeds isn't a cumbersome affair. At highway speeds though, pulling overtakes needs a downshift or two. The lack of top end pull can get annoying, but the throaty note of the engine offers a bit of a respite and is surprisingly good to hear compared to the usual three-cylinder thrum. 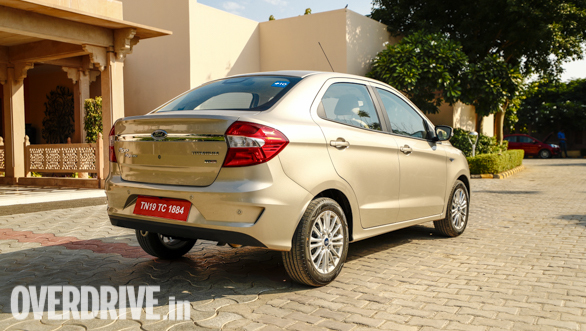 The diesel Aspire continues to use its tried and tested (and very eager) 1.5l, 100PS/215Nm TDCi four-cylinder oil burner. Truth be told, I'm glad that it lives. It is a driver's delight despite being a diesel. 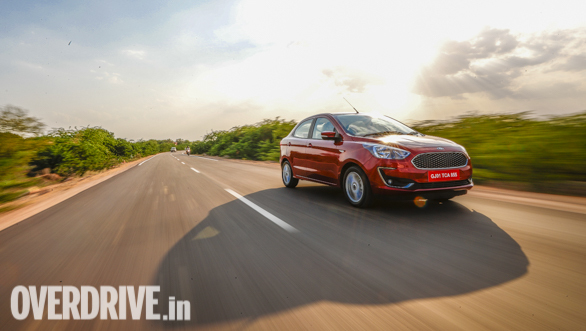 Its torque is so well spread out, that there is virtually a second powerband that kicks in around the 120kmph mark when in top gear and it just keeps pulling beyond that too. That's the zone where most other compact sedans start losing breath or start screaming or start guzzling fuel. This one doesn't do any of that! 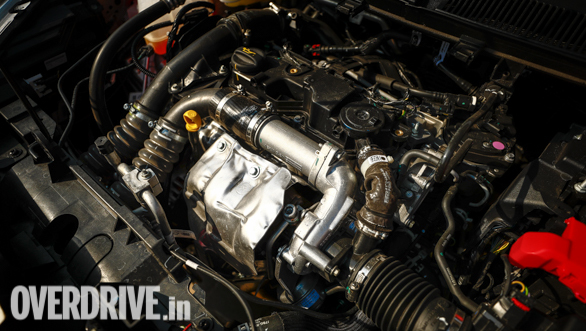 In our previous tests, the Aspire diesel was one of most fuel-efficient cars in the segment, delivering an economy of over 25kmpl on the highway and 15kmpl in the city. Even with the likes of the Amaze claiming better figures now, the Aspire's numbers are respectable for the kind of performance the engine offers. 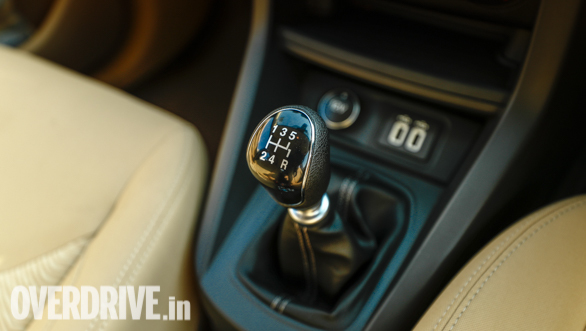 The diesel engine is now mated to a new five-speed manual transmission. The new gearbox is lighter, and it slots more confidently, and with short throws and likeable clicks between the shifts. The clutch pedal travel is still as long as the outgoing unit, but the clutch engagement takes place earlier than before and therefore, you don't have to keep mashing the clutch pedal all the way in, in bumper to bumper traffic. In a nutshell, it isn't as cumbersome to work as before. Going by how good the Aspire diesel's highway manners are, I would have liked a dead pedal to rest my left foot on. Both these engines are very unique in their character, then. While the petrol is perfect for an urban runabout, the diesel is more suited for an enthusiast while being a lovely high cruiser. In my previous review, I had complained about the brakes being too bitey on the outgoing car. 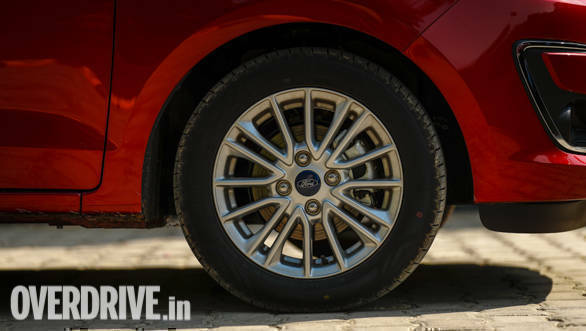 Ford agrees, and they have indeed fixed that on the updated Aspire with a more progressive braking. It is complemented by a decent grip from the tyres, which are now 15-inchers on the range-topper. 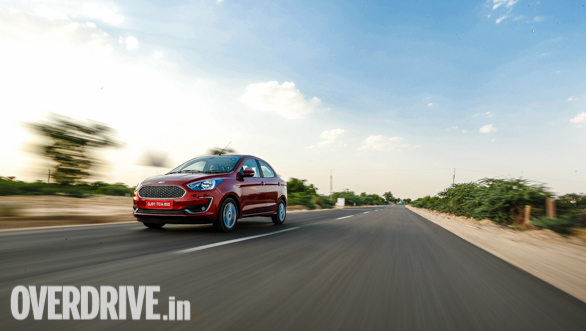 It's electronic power steering and the suspension setup are tuned in signature Ford fashion for a precise feedback and taut handling dynamics respectively. The steering might seem to be on the stiffer side for some, but the ride quality isn't. It's supple. When the Aspire was conceived, the engineers at Ford would have liked a slightly stiffer suspension setup for a flatter ride through corners, but they had gone with a softer setup instead, giving in to consumer demand for a comfier ride. That remains unchanged, but it is still quite a likeable package for the enthusiast as well as the casual driver and I like that balance. The previous Aspire was quite a feature-rich car, which made it one of the most value for money offerings within the segment. Majority of the goodies were exclusive to the range topping trims though, but it turns out that majority of the Aspire's sales come from the Titanium/Plus trims. 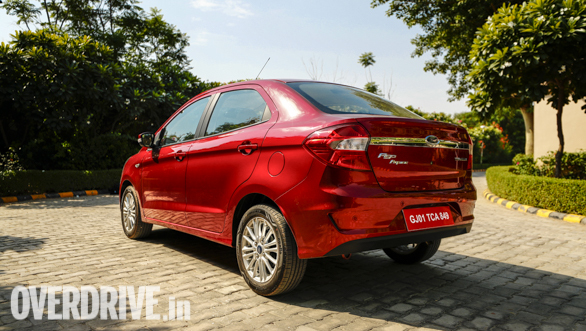 That highlights the fact that the typical customer aspiring for this car is looking for better safety, comfort, and convenience and on those fronts, the updated Aspire has become a stronger package overall, without compromising on its value-for-money stand.